Now, if you read my post on voice recognition for your Linux virtual machine, there's no reason why you cannot take the same elements, sans the virtual machine, and have your own custom voice-recognition command center facility in native Windows. Microsoft's own speech recognition is already there, free, and its "show numbers" feature surpasses anything that Dragon NaturallySpeaking has to offer (as far as I'm aware of; I'm still on version 11). However, for whatever reason, you may one day want to browse the web, or do whatever else, using your own commands. Glovepie can leverage the OS' speech module. Why not avail yourself of free tools? My offered solution might work for you. Thus, whatever phase of things human and divine you have apprehended, you will be wearied by the vast number of things to be answered and things to be learned. And in order that these manifold and mighty subjects may have free entertainment in your soul, you must remove therefrom all superfluous things. Of the Chess Life columns I used to read one of my least liked was that of GM Andrew Soltis. Probably because back then it was one of the few columns written in descriptive notation or something. However, over the last few years I've found that he has brought out some pretty useful books to the market and now in FAN. Not being made of stone, I have bought some of these and have been quite pleased with them, the latest being Studying Chess Made Easy. Its message in a nutshell: There must be a way to sort out all the chess material. The problem is of course, too much of it, and too little time. To that effect, Soltis' tries to channel the reader's efforts to the areas were they'll count the most. The title is a bit misleading, a more appropriate one would've been "Build your own study regime". Even he doesn't explicitly say so, Soltis gives pieces of a puzzle that can be rearranged in a myriad of ways according to the reader's current necessities and time constraints. Accordingly, the reader must provide her own input and figure out by herself what to tackle at any given time. Once, solved the how to, is the meat of the book. For each phase of the game he presents the problems to study and gives advice on how to get the most the player's study time in improvement. He illustrates most points with game fragments (that break the flow of the argument IMO). The "easy" part which the title alludes to is the less material one has to go through. However, though good, some of his recommended improvement exercises demand dedication from the student. The software front might be the weakest area of the book. Soltis does give some advice on how to make better use of it, but doesn't go deep into it (then again, maybe it also another "unnecessary") for improvement. There is also no how to go over your games. Now, Soltis writes from the point of view of an insider. From his bibliography one can gather he is well acquainted with the Soviet teaching methods and has along career as a writer. However , there's no explicit guarantee that what he recommends will work. No study backs what he says, meaning one is putting his faith on his words alone. There have been studies made by outsiders here and there on learning and chess, but none of their results are incorporated here. So one has to take this in account and perhaps adapt accordingly. Also, it is not a one stop shop. Other books and material will have to be read and games to be played, but all according to an overarching approach. Might not be the ultimate solution, but as it goes, looks close and since it is readily available, why not? Recommended for the ambitious 1400 elo and up to master. Experience often tells us that sequels are always inferior to the originals. The Blair Witch: The Book of Shadows is often highlighted as evidence and as such it is generally despised; ratings at the IMDB and other like sites readily reflect that. However, I don't share those beliefs. I liked it when it first came out and re-watching it the other day has confirmed my conviction that, as Jeff would put it, the naysayers only say nay. There are two things here that work against BoS: its fundamental different approach to the telling of the story and that it doesn't give any more info on what happened to Heather's group. On the first front, the radical shift places this second installment away from the first movie, which apparently was enough of a turn-off for many. The second reason is even more insidious as we bought our tickets in search for answers, but we ended up more confused than before. However, once we accept that the mysteries will not be solved this time around and that this movie is not an extension of the first, we end up with an acceptable fun movie that, despite the factors against it, it is very respectful to the mythology set in the original. Watching it, thus, with fresh eyes there are many, many things to like. I'll leave you with just two things to look for for the next time you watch it. The first one is the characters. Of the trilogy, the ones from The Book of Shadows are the ones that are given the most depth on the are way more interesting than even the ones from Blair Witch (2016). Despite the messing up by the producing company, we get a good share from what the director originally intended. Josh and Kim, Kim and Josh (and to some extent Erica) make this movie. The second reason to watch is the secret message Easter egg hunt named "The Secret of Esrever". There is a secret message interspersed throughout the movie and the hints are found in the DVD extras. Most of them are really, really hard, but if you are up to the challenge, you'll have lots of fun. Oh, lest I forget, there's even a bigger bonus and that's The Shadow of the Blair Witch mockumentary that ties in to this movie. I think it can be found on your regular video sites along with the Burkittsville Seven which is also a must-watch (don't know about their copyright status though). Both are a very meaty addition to the mythology that just can't be missed. On the whole, BOS has been widely lambasted, but If this movie had come out without any previous movie to compare it to, it would have been way more successful in its appreciation. No practice excels that of browsing along a library shelf containing books on the subject that has awakened your interest, and sampling them. It might not be an earth-shattering revelation, but It may prove useful someday. Sometimes you have a book in your hands that you like so much, that you'd like to find more on the same topic. There's a way to do just that in your local library. You can take a look at the copyright page on the book, grab the Library of Congress classification, and use that to walk to the proper aisle and shelf and look around. Even if they don't have the very same tome you are sourcing on, the library surely has something on your topic near that area. If the source book is not recent enough to have the classification, you can still get it by running a query on it through the Library of Congress online catalog at https://catalog.loc.gov/vwebv/searchBrowse. BF Skinner's Beyond Dignity And Freedom @ BF 621 S456 . You know him as the figurehead of operant conditioning branch of the behaviorist school of psychology. I find it nice that his initials match the classification number. Getting to Yes By Fisher Ury BF 637.N4 F57.1991 . A classic of negotiation. Ury's solo work Getting Past No, is even better. Come to think of it, I believe that in all my years swimming in different pools, I have never caught an ear infection. However, when I recently tried the proper crawl posture with all the head turnings, I began getting water up my ears quite frequently. Now, this is not a nice sensation and I could yet get an infection. To prevent that, I tried the progressive silicone earplugs which managed to keep most of the water out, but left my right ear hurting for the rest of the day and frankly worries me pushing it too much in one day. I also tried the silicone moldable putty earplugs which I bought by accident. On my first try, these only worked for a few yards before letting the water in with the even greater negative of keeping it in by not allowing proper drainage. 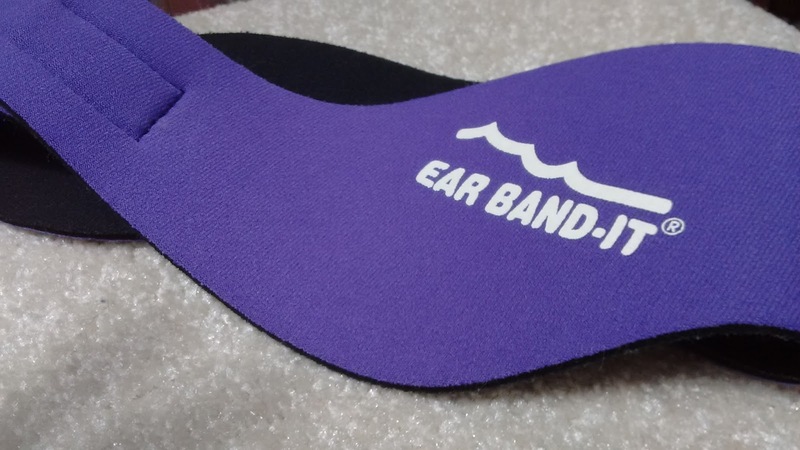 I then came up with the idea of wrapping something around my ears to keep the water out and found that the ear band-it folks had already something on the market. As such, the band is of a very simple design and stays put with Velcro. I couldn't find a black adult one, so I went for the purple to match my yellow swimming cap. It has a nice, tight fit and doesn't seem to loosen while swimming. However, by itself it won't keep water out, nor is supposed to. It is intended as another layer of protection for the ear. The most benefit you can get by using it solo is altogether stopping the sudden inrushes of water that are bound to happen with all the movement. Water will still seep in and mostly get lodged in there. Nevertheless by combining the moldable earplugs with the strap I found on the first 2 to 3 times that I could get most of the water out most of the time. A few drops might get in after twenty minutes or so, but didn't feel as uncomfortable as with the other approaches. However, after this initial success I found that I could not re-create the sealing fit and water began trickling in once again. Compounded to that was wrapping the goggles'strap around both the swimming cap and the band. Attempting to do this was a frustrating experience and a lengthy one. Putting on the goggles before the strap could be an alternative, but that didn't work for me either. Frequently I had to fit and refit the goggle eyepieces before getting a proper seal. As for the putty, one has to resist the temptation of unplugging and re-plugging the silicone because one is less likely of getting a tight seal than when applying dry. It appears that the critical part is the flattening of the silicone towards the edges. I'm fully open that I might be the one to blame, but I am not getting consistent results. In the end I feel that the progressive earplugs solo are the best approach if you find they don't hurt. Otherwise, I would recommend this band paired with the putty but with flat enthusiasm. For myself, I decided to switch back to my no-headturns snorkel swimming. The inconveniences of the band and those of the other solutions make me risk it rather than deal with the hassle. Use your better judgement. I remember in the good old days of Internet Explorer 6 when Dragon NaturallySpeaking would allow you to do most anything that could be done. Technology then moved forward, other versions of Dragon came in and went, Flash and dancing monkeys became more ubiquitous on webpages. I have not been able to re-experience that level of control since then, but while Dragon is still mighty for web browsing on native systems, it has become quite expensive with the dropping out of the home versions and is not available for Linux at all. Is it possible to get some of that control back and for your Linux virtual machine guest? A good microphone. Shop around for the best one you can afford. With this setup, the Mouseless Browsing add-on gives numbered labels to all clickable items on a webpage rendered by Firefox; with the script Glovepie translates your voice commands, leveraging Windows 10's own voice engine, into keystrokes which the VM passes on to the add-on; this one in turn reacts to the received keystrokes and magic happens. In other words, you browse by speaking the numbered labels and your own custom commands. There is a bit of a lag when each page is number-populated, though some benefit might be gained on Firefox goes multithreaded on version 54 or so. For my own personal set up, I added the control key as a switch and set the control + Y key combination as the hide numbers switch. I became a back sleeper in the early 2000s because of my back problems. 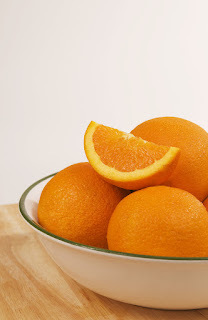 In the last couple of years I experimented with side sleeping, but after a few weeks I found that the protruding sides of my hips began hurting in the mornings. These days memory foam is all the rage and I thought about getting a topper made out of it. I soon discovered many things against it:they are moderately expensive, they might get hot, they might exhale noxious fumes and, by my own experience -by testing one in a showroom- have not that great support. Browsing the net for alternatives, I came across the Pure Green latex topper from Sleep on Latex and after searching a bit more, bought one for $149. I got the 2 inch model in the twin size and have been sleeping on it for three months now. For delivery it was wrapped in a very tight roll made out of a plastic bag and shrinkwrap which was a bit difficult to cut through. When freed, the topper soon expanded to its full length. The first thing I did before use was to measure it and have it made a custom cover because I was planning in using it for many years and would like it from getting soiled. Apparently there are sized covers that can accommodate the topper and a bed cushion, but I didn't look into them. The cover made and the topper placed I found a few positives and a couple of negatives. First, it was more expensive than comparable memory foam toppers, but a bargain compared with what cushions cost these days, never mind if they're made out of exotic materials. The topper is not hot at all and, while soft, gives a good support to my whole body. So far, I have found it as firm as in the first night. When newly opened, it does smell, but this has both lessened with time and was not very strong to start with. There is no way you could fold it for storage, but you could try rolling it and tucking it somewhere when not in use. Be sure to save the bag it came in. If not secured to the mattress while in use, the topper has the tendency of shifting out of position. Not a huge problem as one adult can reset it without too much hassle. I don't see it slipping all the way off. My sore spots, and this is the part you might be the most interested in, did get some relief, but didn't totally alleviate for good. I would say my discomfort lessened to about 50%. However, I believe that giving it a few more months will let these spots to heal some more. Having said this, I don't believe that getting the thicker, 3 incher, would give me more benefit. I would say that the 2 inch would be best for most, unless the sleeper is overweight (I'm about 175 pounds). The harder models might have something to them, but I am in no position to recommend them at this point since I have not tried them. 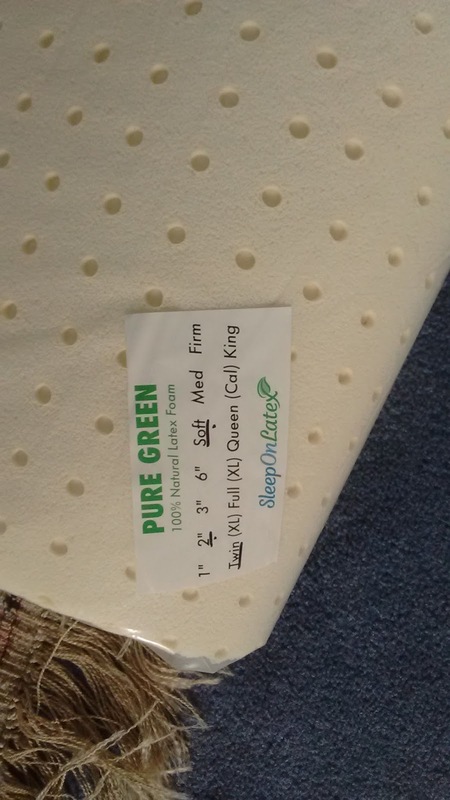 Soft on medium mattress worked for me. Overall, even though it didn't completely solve my problem, the topper provided considerable benefit. For the price, I don't believe one can do much better. We tell ourselves lies and half-truths about how things, others & ourselves should be, pretty much all the time and we end up believing it all. That's the root of Albert Ellis' New Guide for Rational Living and also the starting point to rationally fixing many neuroses. You must have love or approval from all the people you find significant. You must prove thoroughly competent, adequate, and achieving. When people act obnoxiously and unfairly, you should blame and damn them, and see them as bad, wicked, or rotten individuals. You have to view things as awful, terrible, horrible, and catastrophic when you get seriously frustrated, treated unfairly, or rejected. Emotional misery comes from external pressures and that you have little ability to control or change your feelings. If something seems dangerous or fearsome, you must preoccupy yourself with and make yourself anxious about it. You can more easily avoid facing many life difficulties and self responsibilities that undertake more rewarding forms of self-discipline. Your past remains all-important and that because something strongly influenced your life, it has to keep determining your feelings and behavior today. People and things should turn out better than they do and that you must view it as awful and horrible if you do not find good solutions to life's grim realities. You can achieve maximum human happiness by inertia and inaction or by passively and uncommittedly "enjoying yourself." Note the 'musts' and 'shoulds'. 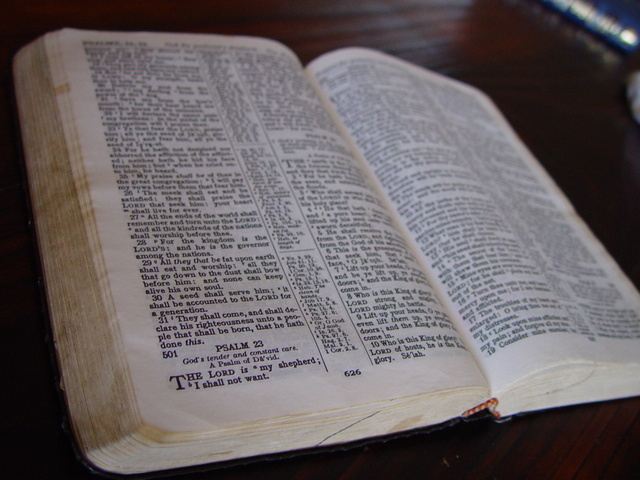 Each of these beliefs are given a chapter and given the same general exposition. First, the idea is presented and explained, point by point on how it is rubbish. Then, the authors give a transcript or two from their own patient interviews showing how they beat down their patient's resistance to sanity over hogwash. Finally, again point by point, give guidelines for self-adjustment. It appears to me that great many an unhappiness can be dealt with this approach. However, I believe that for some others this can only be a starting point and that the help of a proffesional is to be encouraged. Recommended by itself and also as a modern approach to Stoic texts. 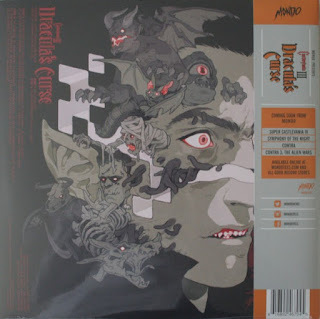 So here you have me after deciding to buy a new record player, the AT-LP3, browsing through Amazon's vinyl offerings for new records to try out, when, at the soundtracks section, I came face to face with my first videogame chiptune vinyl. This was Castlevania released by Mondo and my first reaction was that of excitement. Just imagine the wonderful tunes from Castlevania re-created and on vinyl no less. However, my excitement soon turned to puzzlement as I dug deeper. This was no enhancement, or orchestration, but the music almost straight from the NES to the vinyl. Why? You may know all about it, but this is not just a one-time event. Several record producing companies have released over the last 3 to 4 years videogame music on vinyl. Immediately after Castlevania I came across Mega Man, Zelda, Street Fighter 2 and many many more totaling about something at least two dozen titles. All these belong to a category named "chiptune" which is a subgenre of electronic music and mostly refers to music from the 8-bit and 16-bit era and new original music composed in the same style. Most of the music appears to be without any enhancement. The releases are expensive. Plain and simple with no qualifications. In comparison with regular soundtrack releases one is paying more per LP and some titles can go quite high even while still in stock. Street Fighter II retails for $75 for instance; Persona 5, a recent RPG, for $100 and that's just the standard version. Shorter soundtracks go around $20-$35. The availability is not that great. From what I've seen each release is typically limited to 1000 copies, though there are some that go up to 2000 and not much beyond but that's including all variants. Represses of sold-out titles do happen, but this is chancy as even popular titles have it dim. I entirely missed the Mother/ Earthbound series. Some releases (Persona 5, Undertale, SF2) include what appears to be every sound which I feel is overkill. Does one really need to listen to (and pay for) everything only to get to the good parts? I'd rather have a carefully selected album than every bit of incidental sound, but that's just me. Out of stock releases seem to fetch high prices at Discogs. Acoustically speaking, I can understand on some level why it would make sense for something recorded digitally on good equipment, say, from the CD-ROM era onwards be transferred to the vinyl format. However, I find no reason why chiptune would sound better on vinyl. Without rehashing all the analog versus digital controversy, I do find that magic does happen when the needle strikes the wax. For that to happen, the medium and the needle have to have something to work with and it is my belief that chiptune doesn't cut it. The beeps and boops do not seem rich enough. I am yet to experience an actual chiptune recording, so I'll withhold verdict for now. 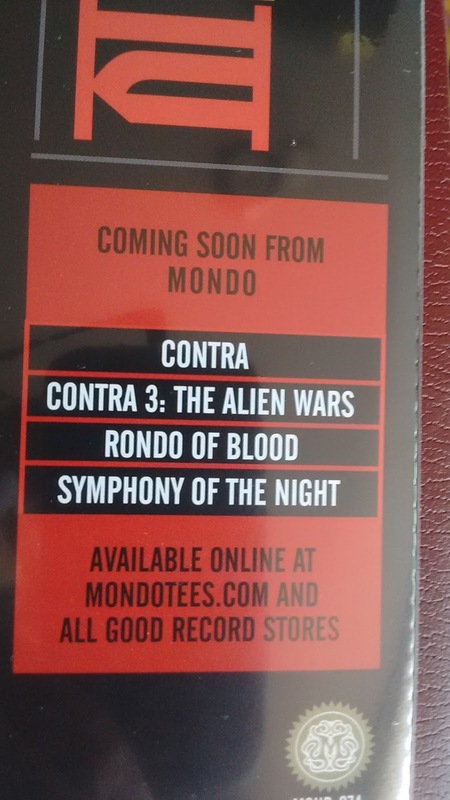 There are complaints online about some releases in respect of quality control. Surface noise and off-center holes do happen with some frequency. Artwork is the third factor of the composition-wax-looks triad. In the wider encompassing soundtracks category, as well as in our current niche discussion, care, artistry and ingenuity have been poured into the releases of our current generation. The visual designs are generally all-new for all labels recovering the essential elements of the seminal works. This ramps up the visual enjoyment of owning physical media and firmly establishes many of the releases into the collectible sphere. While some labels do slack a bit going for minimalist designs on some albums, there are others that appear to bring out consistent eye candy (Wax Work Records comes to mind). I am somewhat against collecting as a hobby, as it distracts from religious duties for one, but I just cannot help drooling over some releases. It's hard to keep myself in check. Returning to video game vinyl some releases include obi strips. The vinyls themselves for the most part are anything but black. There are your standard colored, but also transparent, with splatters, swirls and half-and-half. I find that I am not that interested in most of the releases. The ones that I would really pay for are re-issues or re-recordings of the Dragonquest series (orchestral!). And maybe the release of The 7th Saga. So what did I do? I, of course, despite my misgivings, bought the three available Castlevanias at once because Symphony of the Night is expected to be released later this year and and that's a must get for its musical merits. I thought that it would be best to assemble my whole Castlevania set now that I had the chance and not regret missed opportunities later. Later, if I decide to stick with just a few, I can resell the extra ones. 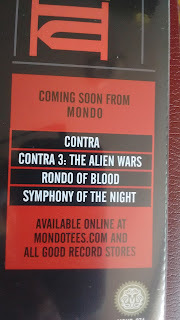 And I was lucky when I ordered, because I got the flat-rate shipping from Mondo and about a week later Castlevania III did go out of stock. For now, I'm skeptical of the musical value of chiptune on vinyl, but I'll wait until I have the complete set and write you a review on them. Blipblop has a list of upcomming releases which you might want to check out. In the 2016 movie Blair Witch, Heather's brother, James, decides to find out what really happened to his sister and find closure as his friend Lisa puts it. As it turns out, not only he, but us the fans, who have waited for years to make sense of the ending of the original movie, now have a chance to do so. With the release of this new one we get more data, albeit still fragmentary, to piece together a clearer picture. Stepping back a bit, this new installment retakes many of the elements of the original film and rehashes them, but in a less successful fashion as many other are left out. For one, the formula is now known to the viewer and the sense of being lost is less effective this time around which also makes the film rushed. The bewilderment of Heather, Mike and Josh at being lost is palpable in the original, but altogether different this time. Another gripe that I have with the movie is the abuse of cheap scares. You know those. It is when out of nowhere someone or something jumps at the onscreen character and hence to the viewer. One cannot but react, alright, but I think it's better to keep at a minimum and go for more sophisticated stuff. Now that I've brought this up, I'd mention the Paranormal Activity series as another big offender in this respect. However, there are many things to like. The witch's still good with messing with technology and pulls out some new tricks from under her shawl. The mythology is furthered on a couple of instances. There's now another plausible reason for Mike's behavior in the original and we get to see more of the house and that corner from the basement. And, what makes the movie, are just a couple of seconds which show what we really wanted to see all these years. The events from the Book of Shadows are not alluded at all. By itself, Blair Witch pales in comparison to the original, but as a follow-up, it does work. So I give my stamp of approval for those who have watched the first one. For the rest save this one for later. There were actually books based on Zork. Real, published physical books. Zork, as you may know, was one of the earliest computer game franchises from the early 80s, which also, if I may say so, garnered a place in the hearts of those who played the series of games. 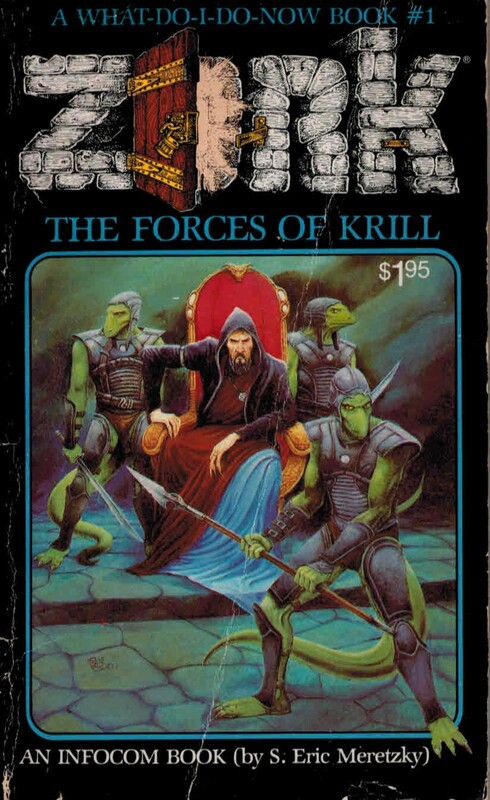 Around that time the choose-your-own adventure book format came to prominence and the Zork books to which The Forces of Krill belongs is the lovechild of both cultural trends. In it, sister and brother are transported to the world of the Great Underground Empire. The Empire has already fallen and the warlock Krill, of Enchanter fame, is about to take the remnants under his sway. Only the siblings can avert this by bringing the sword of Zork and the three palantirs to their uncle, who has the power to wield them against the forces of Krill. As it goes it is a fun read. Some of the more famous landmarks from the first game are to be found here: the white house, the troll room and maze, FCD #3, the coal mine. A nice aspect of them is that the solutions, though they follow closely those of the game, differ enough to make them all new. Regarding its canonnicity, I cannot decide on the matter. The events here don't really click in with the content of the games; on the other hand, it is written by Meretzky, one of the authors of Zork I, himself. Some previously unexplored areas are revealed and some perennial mysteries cleared such as the owner of the white house. However I still prefer the open-ended enigmas of the original games. Having it all revealed actually diminishes the enjoyment for me. I'd rather just take the plot here as an alternate-story. The book is intended for children and can be enjoyed by itself without having played the game, but gives enough hints and references to make the reader want to rediscover the old gaming classics. It is also some sort of collector's item. 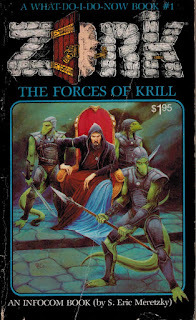 The Forces of Krill can be bought dirt-cheap online and the series is continued by at least 3 more books. How many classical texts are there? I've said this before, but we are sure lucky of having the wonderful texts from classical antiquity come down to us. But, lucky, by how much? How many texts do we have? Had I been asked this question not long ago I'd have guessed that maybe around 300, but now I see we much more than that. There's usually some regret about how much we might have lost (eg from the Library of Alexandria), but I read somewhere that for the texts that were considered valuable, it was made sure to make copies out of them, so we can be confident that not only do we have hundreds of texts, but most belonging of the upper tiers as well. They are readable. This might come to a surprise to some, but the classics are quite readable. For the most part there are some obscure reference to persons and events, but these can be cleared by a good annotated edition, or can be pieced together after a while (Pompey? Who's that? Oh, that one! ), or then again many can be just passed over without much loss. I read once that English men of the Empire era profited from the classics education in that the texts made them ready to understand other cultures. They give examples of shining personalities (both good and bad) from when the world was younger and purer. We've got Socrates and Xerxes and Alexander and Caesar and Cicero and Seneca and so many others. They provide a common frame of reference. These are (should be) known across the world and their most salient aspects can be called upon to make a point or illustrate certain topic. They give structure and sense to the world. Our society is built on the persons and history we read out of them. Can give a lifetime of enjoyment. They are basis to (all) later texts. As explained in the Great Books post, ancient texts a built upon by later writers. So to speak, they are the root of the matter. It is a wonder to have them at all. Ever read the Name of The Rose? In a very real sense it a shame to have these survived for millennia and not profit from them. They also shed light on biblical times and texts, since the Bible events (I'd say from Ezra on) developed within the very same sphere on which the classical. Plus, the early church fathers grew, thrived, and built on within it. You can learn style from them. 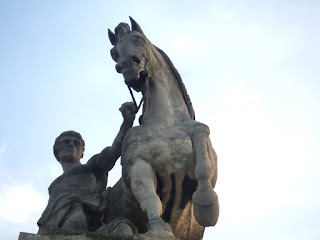 You don't have to learn Greek or Latin. These are now translated to all major languages. The only problem I find for English readers is the apparent lack of a good annotated collection, other than the Loeb Classical Library out there. The Cambridge Classical Texts and Commentaries appear to be an alternative (I've not flipped through one yet), but each and every title is outrageously expensive. In one of Danny Kopec's books he makes the comparison of baking a cake with a mate: first you visualize what it would look like, you follow the proper steps, and voila! you get the tasty results. To that end one must know what the fan of possible end results looks like and choose the practical ones for a given situation. Enter L'art du faire mat (The Art of the Checkmate) by french champions by Renaud & Kahn which gives a whole catalog of mating patterns in a readily accessible way. Each mating pattern is identified by number and, when present, by historical name. Isn't it much better to have these possibilities at one's fingertips, than to try to grasp in the darkness for half-seen, half-remembered figments? This is what makes this book both practical and powerful. All is laid down on the table and the mechanisms laid bare. Each pattern is also illustrated by stripped down diagram and with sample annotated games showing how each mate can be arrived at. Interspersed there are 80 exercises of moderate difficulty. On the board the result is that you see what you have before you in a given situation and options readily pop up in your head. When I first got this book, it was given to me by the owner of my local chess club who would assign it to newcomers as the first one to study. Yet, I'm sure it will benefit anyone who hasn't brushed up on the basics lately. To make the most of the book, I would recommend you to get a dedicated mate solving book or software. With it you can put to practice what you just learned. One of the more popular ones is Reinfeld's 1001 brilliant ways to mate. Reinfeld's book is categorized into different broad themes such as sacrificing the Queen, and storming the castled position and the problems themselves are well mixed enough to present a good challenge. Except for the last part, which is formed by composed problems, the book as a whole is a good companion to the Renaud & Kahn. Here's an idea that you can try for yourself: take the 1001 and after solving each problem, try to equate the mating pattern to the Renaud & Kahn number scheme. I did, and from the start I began to feel how the patterns got a better impression on me, than if I had just read L'art , gave it the thumbs up, and stowed it away. Now I find it is easier to come up with a mating pattern with the material available on the board and call it by name. Oftentimes, the answer for a set situation pops immediately, which, I believe would be the prime objective. Be warned however, that not all Reinfeld's problems can be neatly fit into the Renaud & Kahn's scheme. Other than the regular mating sequences described R&K, there are other sequences which ultimately result in so basic patterns that the French authors didn't think there while to describe them or that rely on a tactical motif such as a pin or a deflection of a defending piece, and mates that rely on bringing the King to the open chasing it around the board. These last ones, at least for me, are the most devilish and depend much more on the use of force than on regular set patterns. On the whole, the mix feels well balanced and can challenge ambitious lower rated players and refresh more experienced ones.